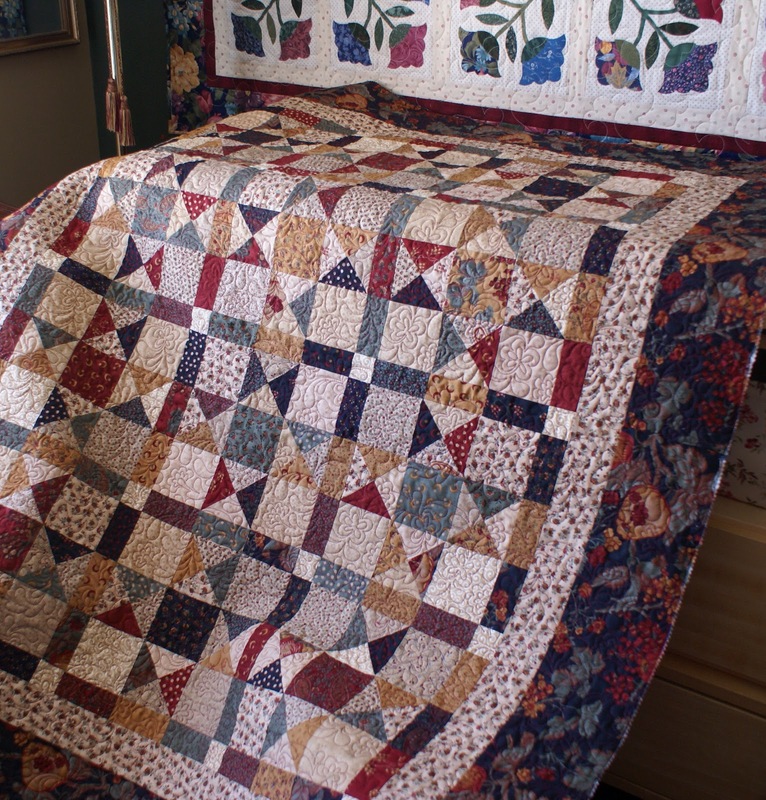 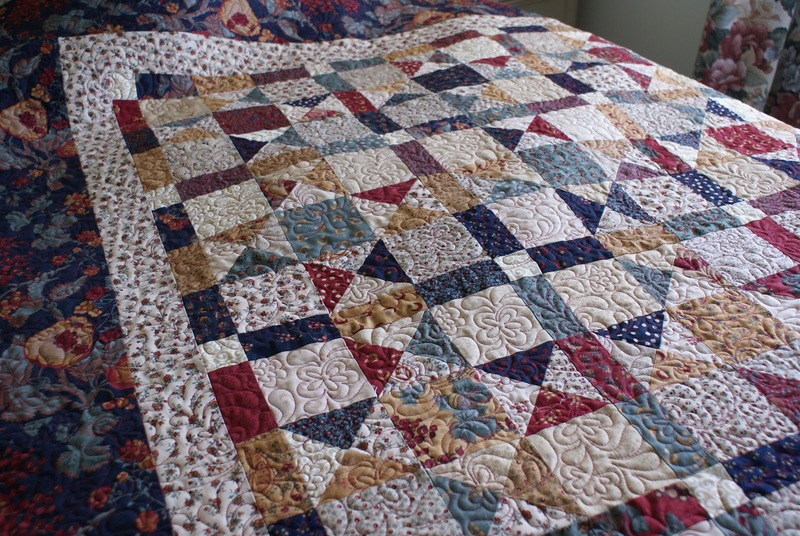 This is a small quilt I pieced several years ago and it is finally quilted! 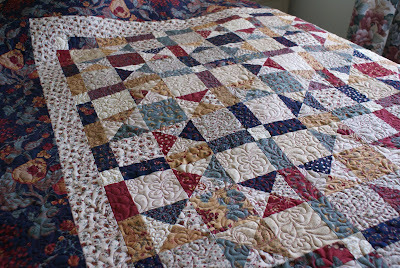 The quilting took me most of the day yesterday to stitch (after a trip to the quilt shop for extra thread and needles). 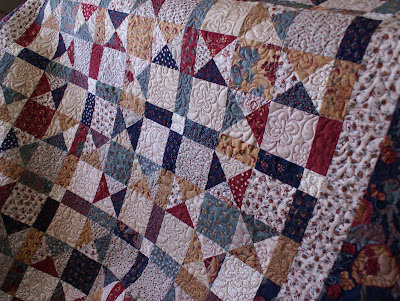 I'll sew binding on tonight and then this quilt will hang on the wall in our bedroom.